View How to Effectively Manage the Editorial Process in a Multi-Author Blog on Notist. Some years ago, I was lucky enough to be part of an inspiring and vibrant group of Italian female entrepreneurs sharing their stories in an online chat group. In 2013, we decided to add some structure to our exchanges and launch a blog. Five years later, the blog is still going strong and quite popular in Italy. It grew from a few friends contributing to 10 regular authors and 50 guest contributors. I’ll share the challenges we encountered over the years trying to create a smooth process for the growing number of authors and my experience in keeping the quality consistent while maintaining a schedule relevant to the audience’s expectations. 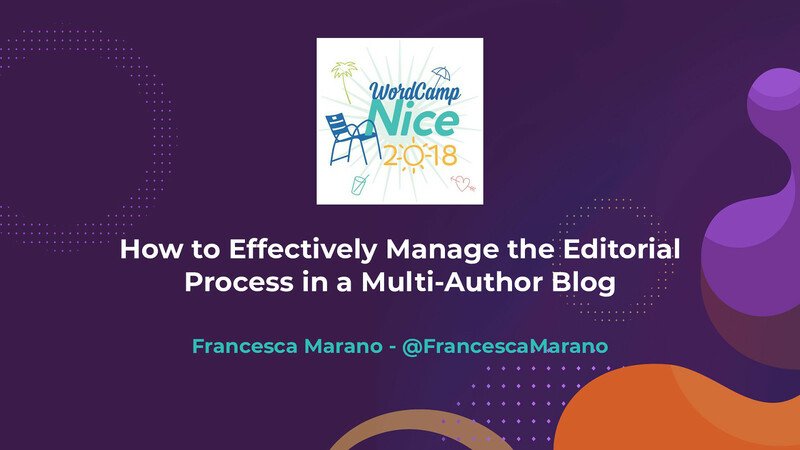 I’ll recommend best practices including how to manage user permissions, how to assign editing and curation, deciding who has the final editorial say, and delegating the task of actually getting the content online. I will share practical solutions, based on what worked for us, that many different types of teams can use to coordinate their efforts and keep things in check.